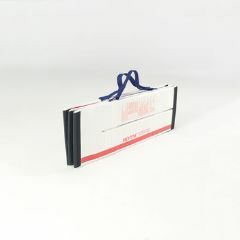 Multi-purpose Ramps are longer, wider and ideal for commercial and travel situations. 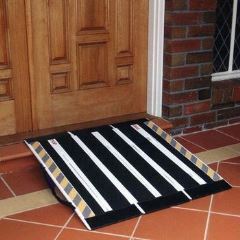 Lightweight portable ramp with anti-slip grip surface. Manufactured with a unique combination of fibreglass and carbon fibre material. Multi-panelled hinged system folds with a concertina action allowing ramp to be folded to a single compact unit easy for storage and transportation. 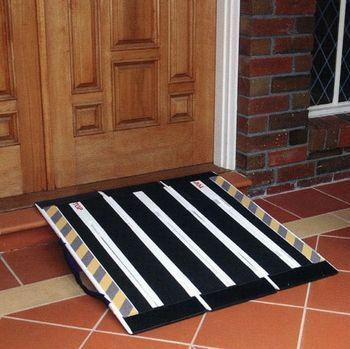 For more information about our portable and fixed ramps range, contact our helpful staff today!